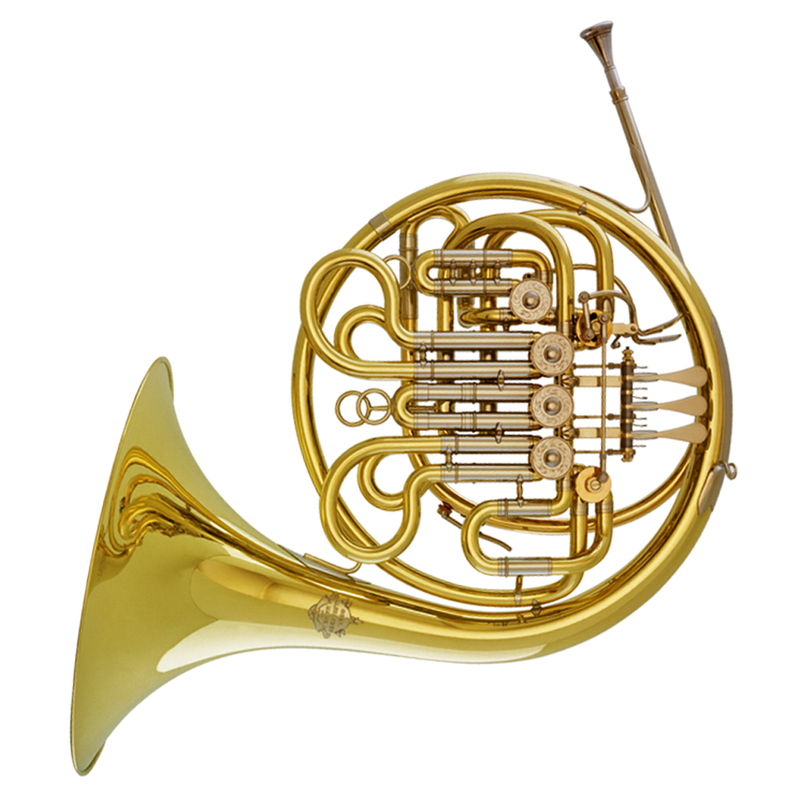 The double horn has established itself as the orchestral instrument of choice. The combination of full Bb and F horns offers the musician great flexibility in intonation and tone. There is also a definite correlation between mass and tonal projection. With full double horns the thumb valve serves to change to either the shorter Bb horn or the longer F horn. Model 203ST is built according to the French “ascending” system, in which the third valve raises the pitch (in F as well as Bb) by a whole tone. 203ST is equipped with a second thumb lever to operate the 5th valve. The musician can choose between half tone or stopping length by a removable extension slide.